His parents left post-war Japan when his father, an accomplished mathematician, was lured to the Princeton Institute for Advanced Studies by director Robert Oppenheimer on the recommendation of the famed mathematician André Weil. His family then moved to Vancouver when his father accepted a faculty position in UBC’s math department. They named their son after Santaro, a Japanese folk story character. A few years later, his family moved back to the United States, and although he has spent most of his life outside Canada, Ono did have a memorable experience at McGill University, where he earned not only his PhD in Experimental Medicine, but also the hand of his Chinese-Canadian wife, Wendy Yip. “One of the most compelling reasons I was drawn to UBC was the depth and breadth of its academic research, and I am deeply committed to advancing that research by working collaboratively with some of the world’s leading scholars,” Ono says. As a professor of medicine and biology, Ono has worked at Harvard, Johns Hopkins, University College London, and Emory universities. He was also inducted by Johns Hopkins into its Society of Scholars, which honours former faculty who have gained distinction in their fields. He has been inducted as a Fellow of the Royal Society of Chemistry, the Canadian Academy of Health Sciences, the American Association for the Advancement of Science and the National Academy of Inventors, USA. Ono’s research encompasses the immune system, eye inflammation and age-related macular degeneration – a leading cause of blindness. “Early detection and treatment could reduce vision loss and allow more people to enjoy their retirement years and maintain their independence. It’s intellectually rewarding research that at the same time has the potential to transform people’s lives,” Ono says. As a university administrator, Ono is also known for his vision beyond the laboratory. He was the first Asian-American president of the University of Cincinnati when he was appointed in 2012. Previously, he served as the University Provost and Senior Vice President for Academic Affairs. 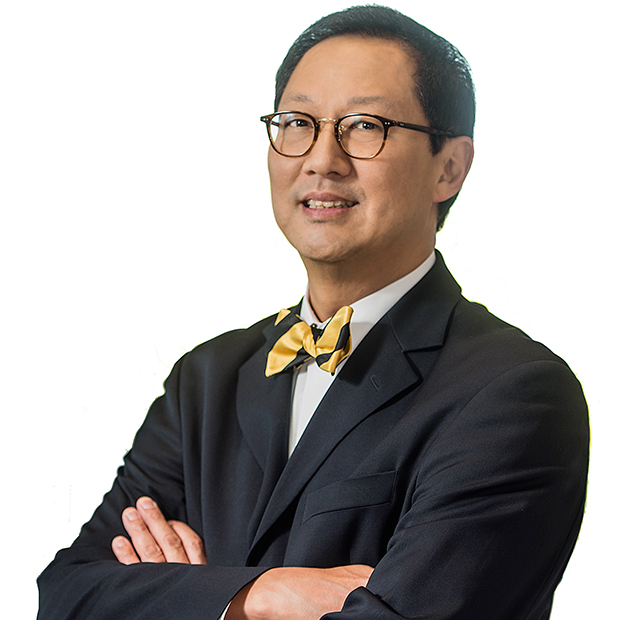 Prior to his recruitment to the University of Cincinnati, Ono was Senior Vice Provost and Deputy to the Provost at Emory University. Ono is deeply committed to diversity, and his achievements have been recognized by the American Council on Education with an award that honours individuals who have demonstrated leadership and commitment on a national level to the advancement of racial and ethnic minorities in higher education. He also received a Professional Achievement Award from the University of Chicago Alumni Association in 2017, an honour he shares with such luminaries as Carl Sagan, Ed Asner and Kurt Vonnegut. In addition, Inside Higher Education named him America’s most notable university president in 2015. His many followers on Twitter and Instagram know why he deserves that accolade. He’s adept at using social media to respond quickly and directly to people’s concerns and to make personal, authentic connections – in particular, with students. Whether sending congratulatory tweets to grads, cheering on the home team, or responding to someone’s concerns about financial aid, it’s all about engagement. An avid music lover, whose tastes range from Rihanna to Rachmaninoff, Ono studied at the Peabody Conservatory of Music in Baltimore and remarkably still finds time to sing and play his cello – even taking to the concert stage to perform on occasion. His family also helps him stay grounded. He is married to Wendy Yip, trained as an immunologist at McGill and as a lawyer at Boston University. She practised law for a decade, completed a legal fellowship at what is now the Asian American Justice Center, and taught patent law at the London School of Economics. She has volunteered with assorted schools and churches wherever she and her family have lived. They have two daughters, Juliana and Sarah.